This Enkei SS05 (511-775-6540GR) wheel is the clear choice for anyone seeking a clean and seamless aftermarket upgrade to their passenger car or light truck. The 1-piece aluminum construction and 1851lb load rating help create the perfect powerhouse of style, strength, and durability. And don't forget about your peace of mind! The Enkei SS05 (511-775-6540GR) wheel is covered by a 1-year limited warranty from the manufacturer. This SS05 wheel is made to fit a wide range of vehicles requiring a 5x114.3 bolt pattern. Please refer to the vehicle compatibility tool on this listing to verify fitment. Don't hesitate to contact one of our product specialists if you have any questions about the diameter, width, offset, backspacing, finish, and more of this 511-775-6540GR wheel. NOTE: The photos included on this listing are meant to show the style of the wheel not necessarily the bolt pattern. Please refer to the details on this page for exact product specifications. Wheels should be test fit before installing. Mounted wheels cannot be returned. FEATURES: A 1-piece aluminum construction with a hyper gray finish. Covered by a 1-year limited warranty. FAST & FREE SHIPPING: To the lower 48 states. We offer same day shipping on all orders received by 11:00 AM PST. 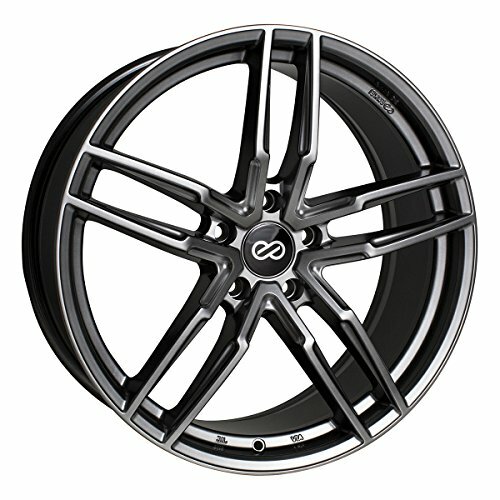 INCLUDES: One (1) new Enkei SS05 hyper gray wheel with matching center cap.